I have collection of miniature Bibles. Not just Gideon Bibles. My Great Grandma's "Your Small Bible - Revised Standard Version" no date, but a collection of "helpful verses". New Testament and Psalms, presented to my Dad in memory of his kindness, National Edition, copyright 1941. The Life of Jesus 1927 in English work of M. Renan. Holy Bible Concordance, King James Version. My collection of vintage "Bibles" . 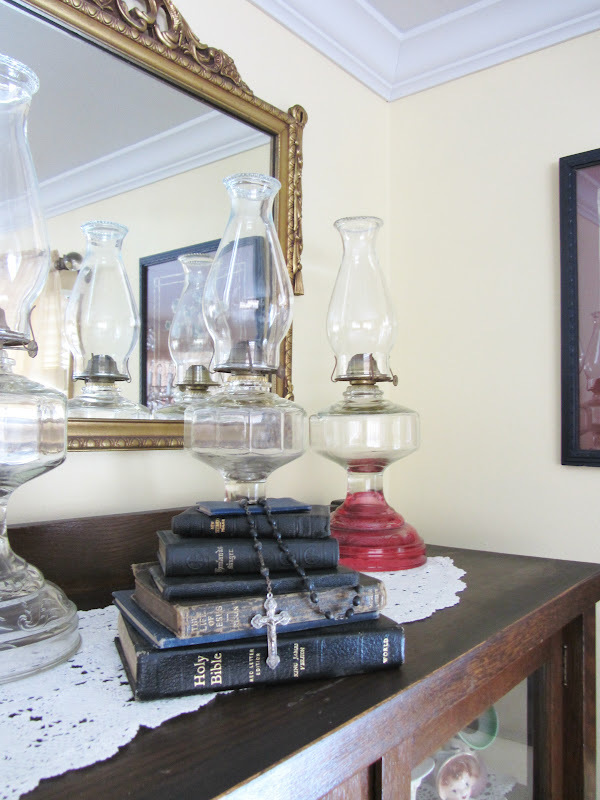 In my "Bibles" vignette, I have included a rosary (I am a Lutheran, my husband, a Catholic), and a few of vintage oil lamps, and my favorite gold framed vintage mirror (from my childhood home). I hope you like my "Stack of Bibles" vignette! Collect small Bibles, they are inexpensive and so special! Love your stack of Bibles, what a great way to display them! Wow, Carlene, what a wonderful and meaningful collection!! I love the Bibles and oil lamps of course. The mirror is wonderful also. I would never have thought to display the Bibles that way, and I just love the vignette. Beautiful!! I love the stack of Bibles and I have several oil lamps like yours. Guess I am now your 91st reader. Your vignette looks wonderful. I am happy to be a new follower through Cozy Little House. 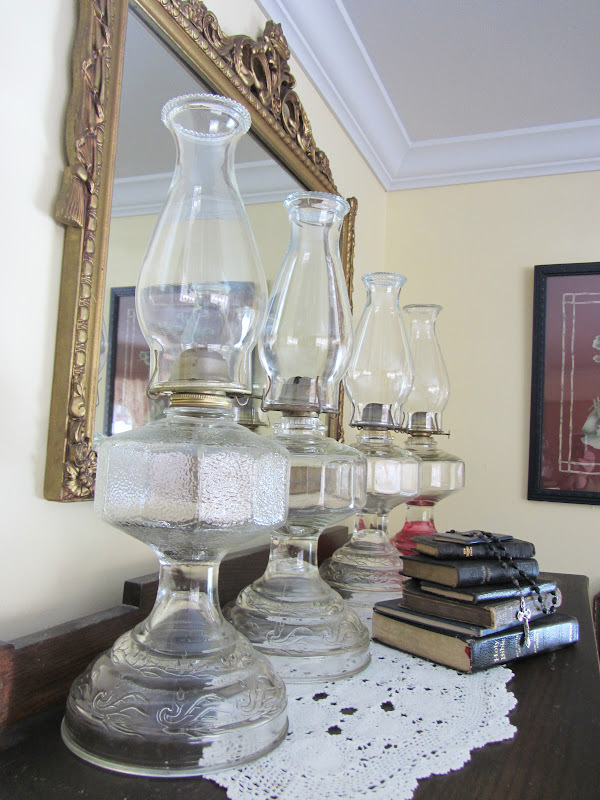 I love the vignette with the oil lamps and Bible. Makes me think of verse...My Word is a Lamp to you feet...a Light to your Path. Hi, Carlene! I am new to your blog and found you through Brenda from Cozy Little House. You were on her Welcome Wagon post for this past Friday. 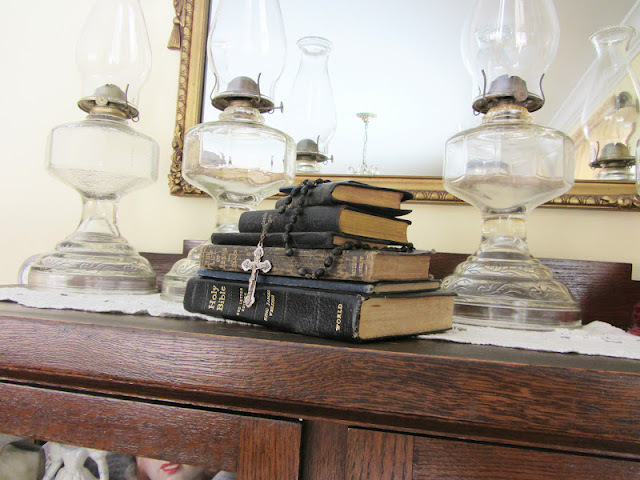 LOVE your blog and I too have a collection of Bibles about the house! I love what you did with yours and I'm looking for new ideas for my new house. I need to put some more decorative things together, because I have a lot of space to fill here. I moved from a much smaller house and this one feels cavernous! I'll be visiting again. Oh I love this. Having them out on display is so much better than tucking them away on a bookshelf where they are never seen. Thanks for linking up atmy party. I was just thinking to myself how nice it is that the colors are similar. If I stacked my collection of Bibles, you would see black, tan, brown, red and white. It's an odd mix of colors though each are very special. What treasures! I love how they look with the oil lamps too! i love how you have things you love out on display. I can't think of anything nicer to display......so special! What a beautiful way to display your Bibles. 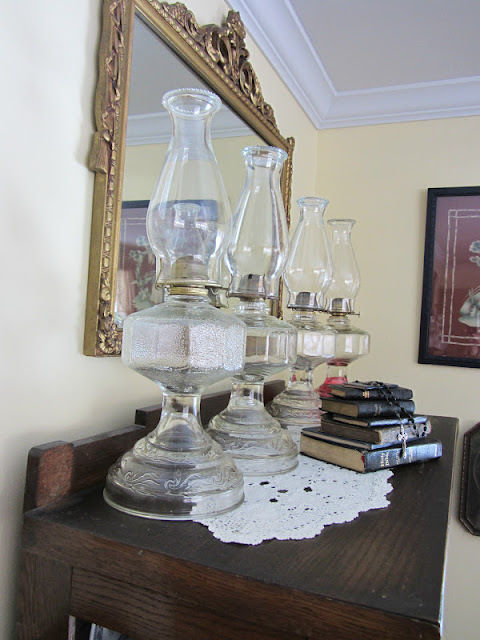 Love your oil lamps too. What a lovely collection of Bibles. 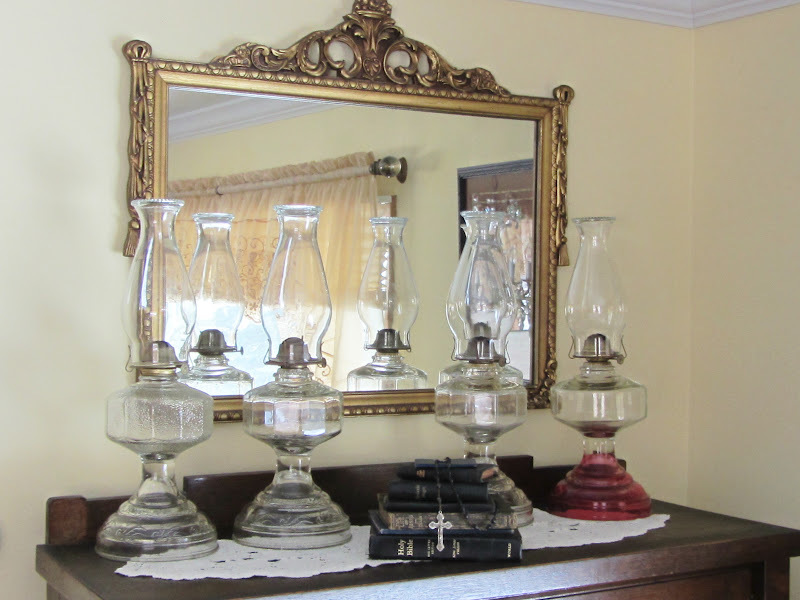 I like how you have them displayed with the beautiful mirror from your childhood. I really like your stack of bibles. 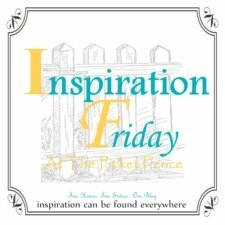 I am discovering my design style and I like rustic elements. 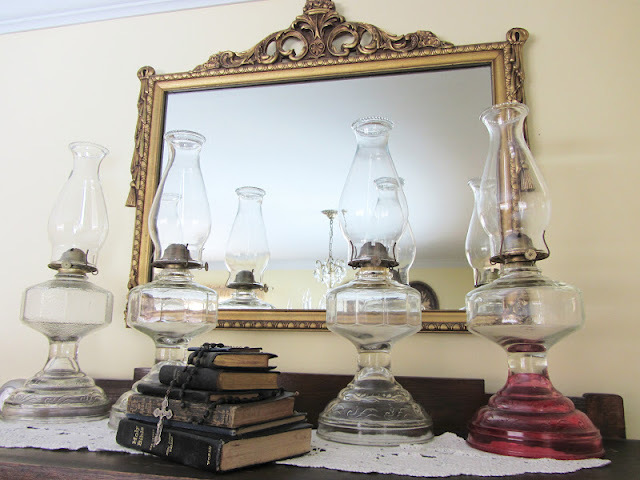 I am hoping to find some old books (bibles would be great) to incorporate into my home somewhere.. Thank you for sharing! I love how you displayed your Bibles! Especially at this time of the year! I also like how you displayed the lamps. 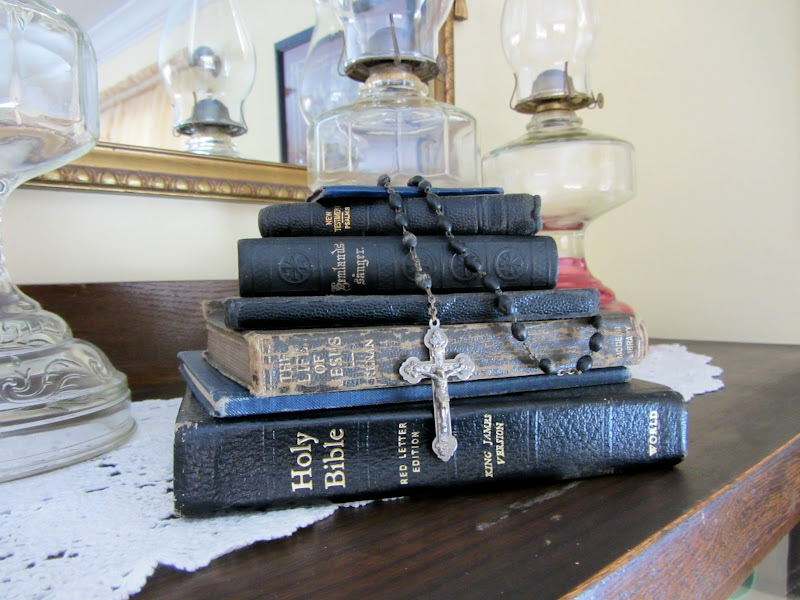 What a pretty rosary, and the Bibles are a lovely and special collection. 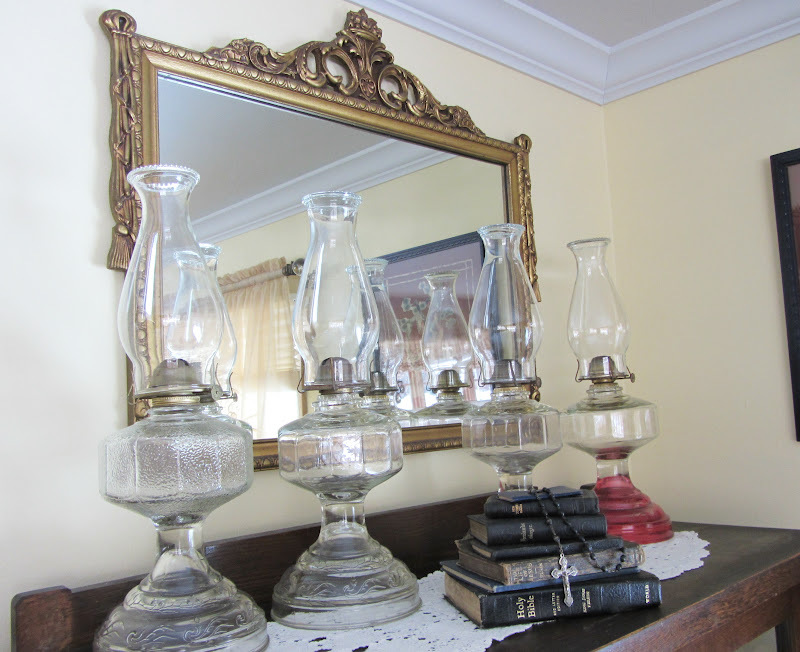 Love the mirror from your childhood home too. A very pretty vignette. What a wonderful collection of Bibles and you display them so beautifully. 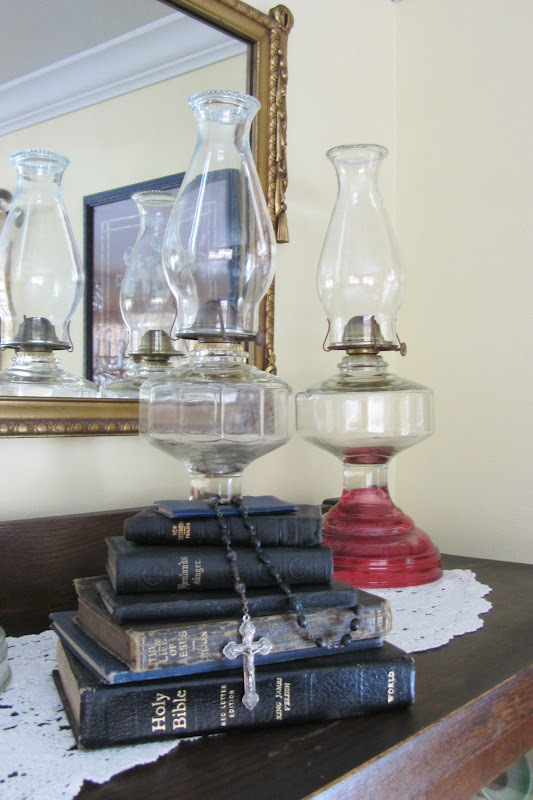 Love the vignette you created with your Bibles. Hope you have one to read daily. Love the bibles. And you're saying that vintage ones are inexpensive? Where did you find yours if you don't mind my asking. I would love to do something like this as well.